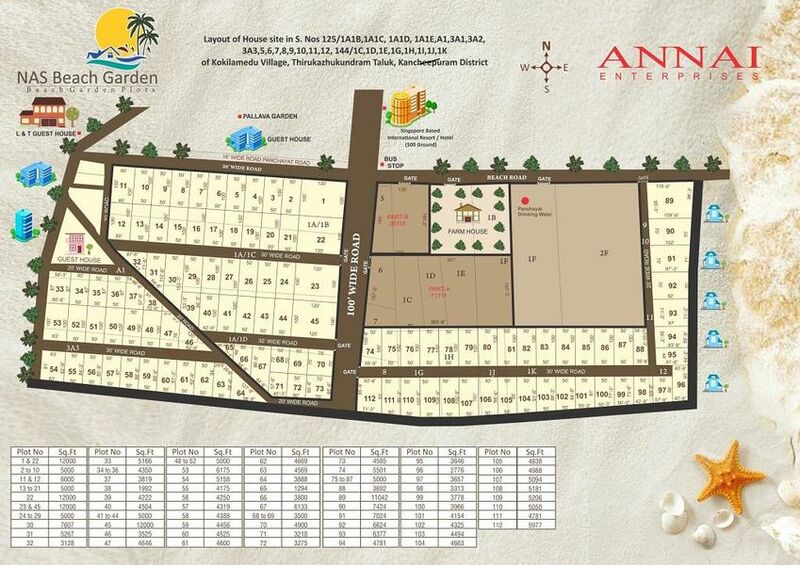 How Far is NAS Beach Garden Sea View Plots? NAS Beach Garden is one of the popular Guest house Residential/Plot Developments in Mahabalipuram neighborhood of Chennai. It is among the Ongoing Projects of Annai Enterprises. The project is upcoming with total of 112 Plots, with an area range of 3000 - 5000 Sq Ft.